Stem Cell Therapeutics Corp., an immuno-oncology company developing therapies for the treatment of cancer, today announced that it has filed articles of amalgamation to merge with its wholly-owned subsidiary Trillium Therapeutics Inc. ("TTI"). The combined company has adopted the Trillium name. 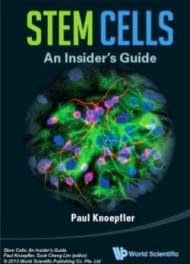 "The use of "Stem Cell" in our company name did not properly reflect our business, which is strongly focused on the immuno-oncology area, such as our checkpoint inhibitor program targeting the CD47/SIRPa immunoregulatory axis.Trillium enjoyed a solid reputation in the biopharmaceutical industry for its high quality immunotherapy research, exemplified by a decade of strong industry and academic partnerships. We will clearly benefit from this brand recognition with our return to the Trillium name." commented Dr. Niclas Stiernholm, Chief Executive Officer. Conditional approval for the name change was received from the TSX. The Company will soon begin trading under the symbol "TR".